This year, former U.S. President Jimmy Carter leased 10 acres of land to build a solar farm with the capacity to meet more than 50 percent of the energy needs of his hometown, and he also installed 324 solar panels on his presidential library. Former President Carter’s vision for clean, renewable energy proved to be far ahead of his time. While his successor, former President Ronald Reagan, had the panels removed, Carter and his family have continued their work toward ensuring that those 32 panels became a part of a much bigger story. 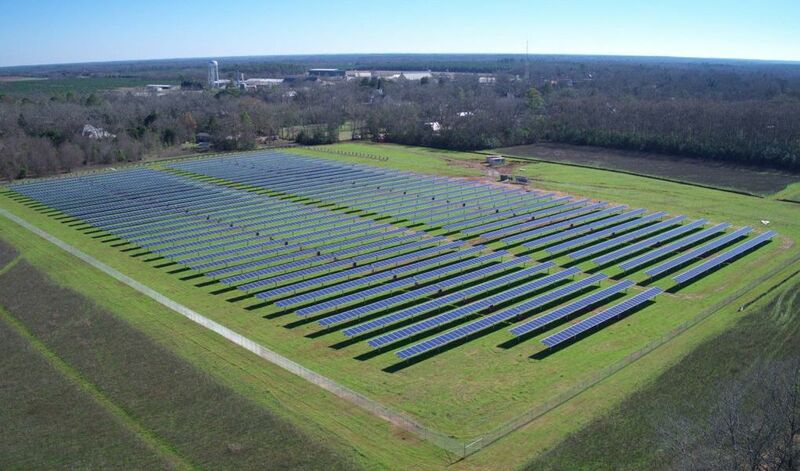 Carter leased 10 acres of land in his hometown of Plains, Georgia, to be used as a solar farm. This February, the solar development firm SolAmerica finally completed the project, which will have the capacity to meet more than half of the town’s energy needs. This is, in essence, one action taken by one man…and it is powering half a town. Then, in June of this year, the Carter family had 324 solar panels installed on the Jimmy Carter Presidential Library, which will provide about seven percent of the library’s power. Carter’s continued activism in support of renewables showcases the importance of local and individual efforts to reduce humanity’s reliance on fossil fuels, even in the absence of strong national initiatives. We, the people, have power. The solar farm in Plains is expected to generate 1.3 MW of power per year, which is equal to burning about 3,600 tons of coal. Over time, that will prevent a sizable amount of greenhouse gases from being emitted into our atmosphere. Many individuals, communities, and even states are joining with Carter in working toward shifting to clean energy sources. Elon Musk, CEO of Tesla, has invested in developing technology and products that are making solar energy cheaper than ever before. The U.S. states of New York, California, and Washington have banded together to form the “United States Climate Alliance” after President Donald Trump announced the country would pull out of the Paris Climate Accord. These are just a few examples of people and communities who are working towards a sustainable future. And their work is bearing fruit — the construction of coal power plants is declining worldwide, and a new report projects that the U.S. will exceed its Paris Accord goals despite the recent withdraw. Regardless of the opposition, people around the world are choosing to embark on exciting adventure to a bright, renewable (and clean) tomorrow.